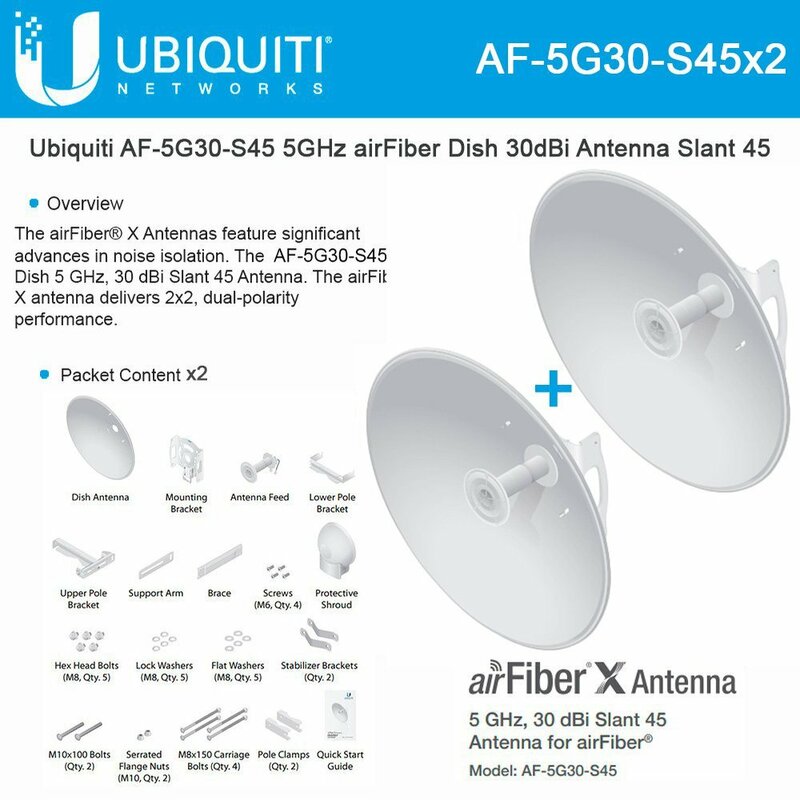 The Ubiquiti airFiber X Antenna AF-5G30-S45 is purpose-built with 45? slant polarity for seamless integration with the AF-5X. By pairing the AF-5Xwith AF-5G30-S45 antenna, the AF-5G30-S45 offers 30 dBi of gain in 650-mm diameter size.